I am a Flickr addict. I love the cross section of life that it reveals. 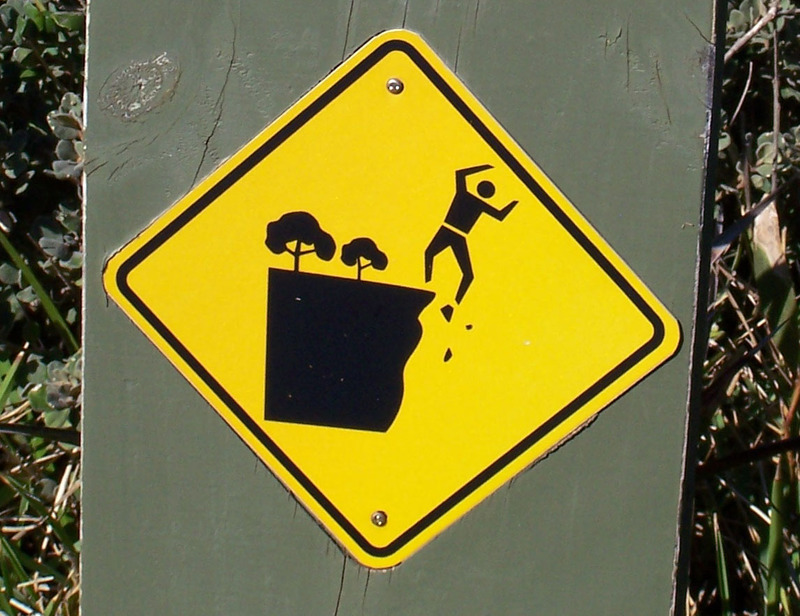 There is one rather whimsical group that I am particularly fond of – “Stick Figures in Peril”. 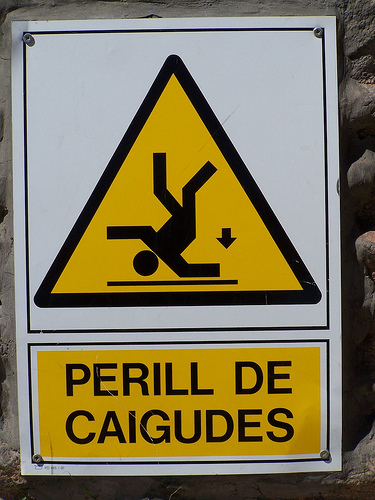 These are the ubiquitous warning signs that surround us everyday – around work sites and dangerous places, like cliff edges. These signs reveal so much about us, and some of the revelations are contradictory. We want to be protected and warned so that we don’t harm ourselves, but on the other hand we can often be so foolish and mindless that obvious things still need to be said. I haven’t come across a stick figure that warns us about the problem of missing out on a relationship with God. Maybe a clever graphic designer could make one. But many of us, even though we secretly know there is a supreme being, live and act as though there isn’t. The answer is like one of those stick figure signs that we need to heed for safety’s sake. It is a sign saying, that secret belief that sometimes crosses your mind that there is a supreme being, is true. More importantly, that supreme being says, come to me through the doorway that my son has prepared for you. Jesus’ invitation to enter into the presence of God involves, forgiveness, renewal and eternal life. Isn’t that a “sign” worth heeding?